Recently I started working on a brand new HP ZBook 15-G3 with Windows 10 Pro. 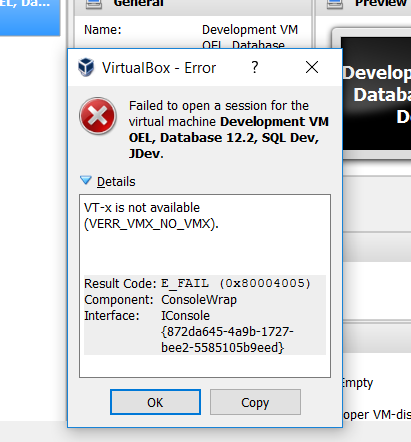 And I immediately tried to return to the state I had my previous Windows 7 laptop in: Oracle Virtual Box for running most software in virtual machines, using Docker Machine (and Kubernetes) for running some things in Docker Containers and using Vagrant to spin up some of these containers and VMs. I quickly ran into some issues that made me reconsider – and realize that some things are different on Windows 10. In this article a brief summary of my explorations and findings. 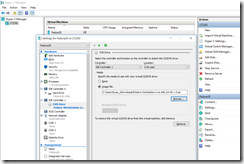 Creating a virtual machine is very easy. 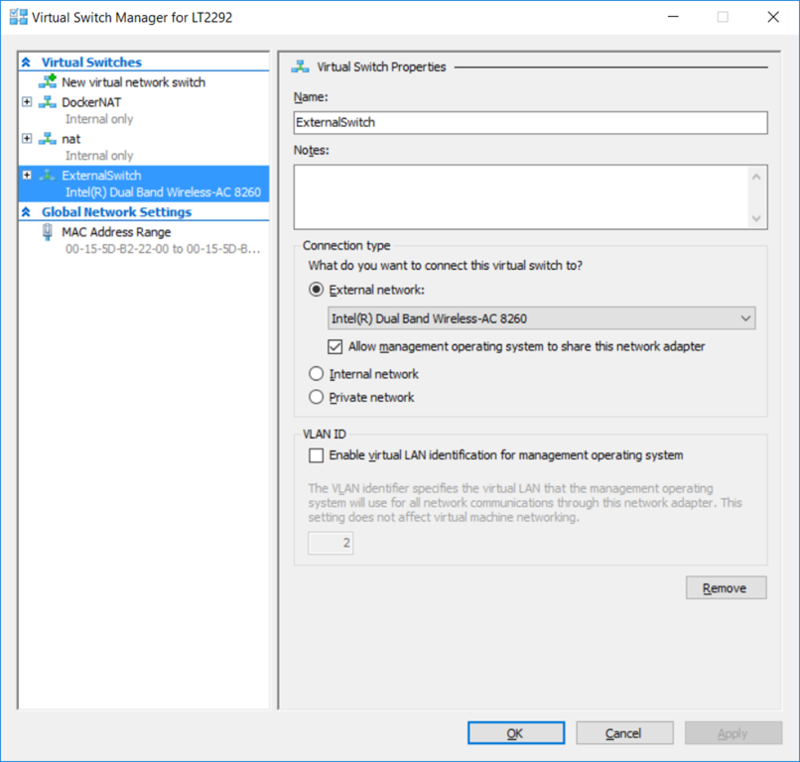 A good example is provided in this article: https://blog.couchbase.com/hyper-v-run-ubuntu-linux-windows/ that describes how a Hyper-V virtual machine is created with Ubuntu Linux. 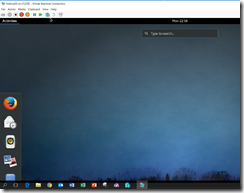 I went through the following steps to create a Hyper-V VM running Fedora 26. It was easy enough. However, the result is not as good in terms of the GUI experience as I had hoped it would be. Some of my issues: low resolution, only 4:3 aspect ratio, I cannot get out of full screen mode (that requires CTRL-ALT-BREAK and my keyboard does not have a break key. All alternative I have found do not work for me. 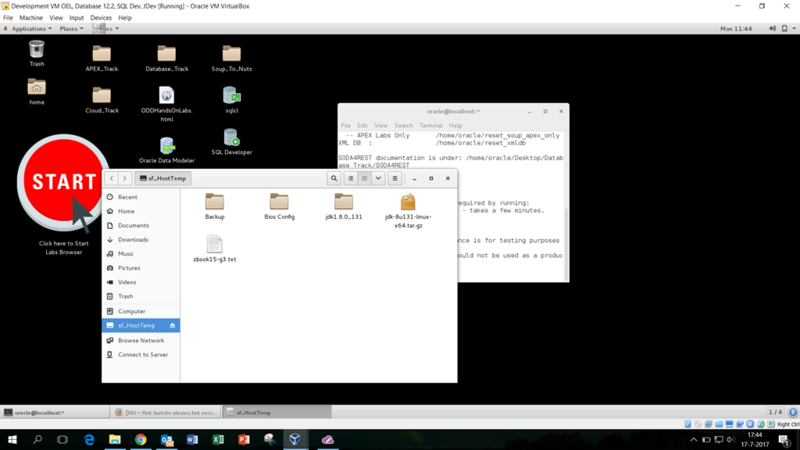 Getting going with Docker on Windows is surprisingly simple and pleasant. 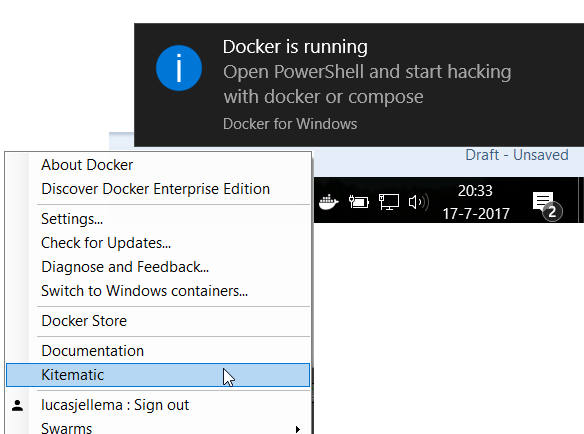 Just install Docker for Windows (see for example article for instructions: https://www.htpcbeginner.com/install-docker-on-windows-10/ ). 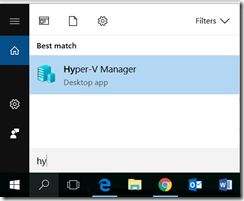 Make sure that Hyper-V is enabled – because Docker for Windows leverages Hyper-V to run a Linux VM: the MobyLinuxVM that you see the details for in the next figure. At this point you can interact with Docker from the Powershell command line – simply type docker ps, docker run, docker build and other docker commands on your command line. 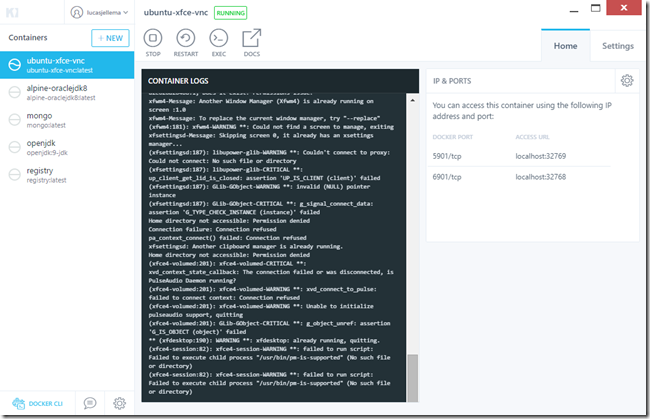 To just run containers based on images – local or in public or private registries – you can use the Docker GUI Kitematic. 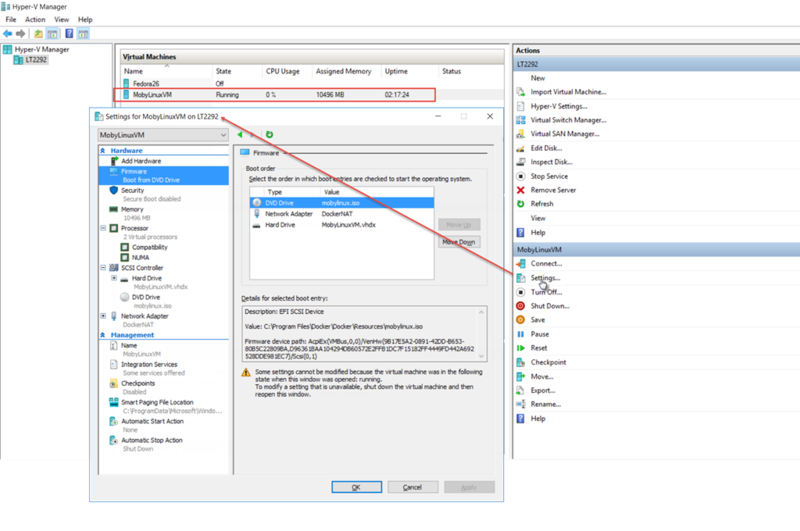 It is a separate install action – – that is largely automated as is described here https://www.htpcbeginner.com/install-kitematic-on-windows/ –to get Kitematic installed. That is well worth the extremely small trouble it is. 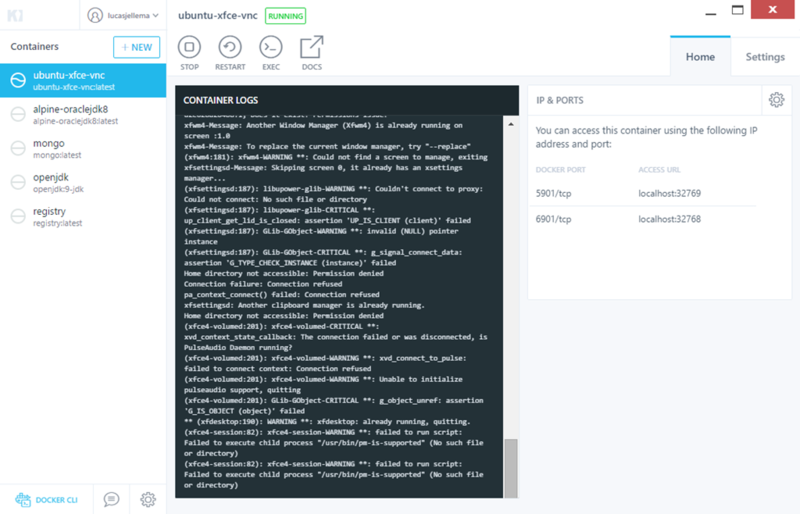 From Kitematic, you have a graphical overview of your containers as well as an interactive UI for starting containers, configuring them, inspecting them and interacting with them. All things you can do from the command line – but so much simpler. 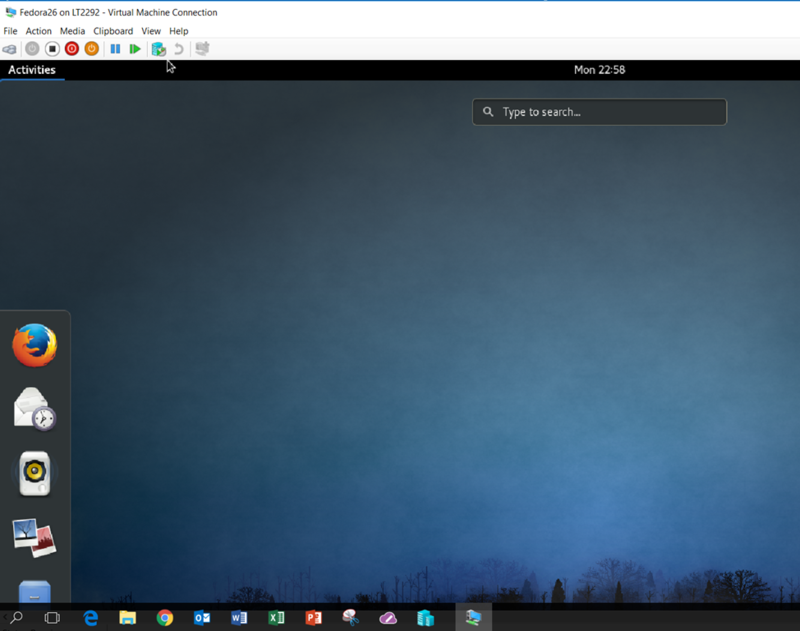 In this example, I have started a container based on the ubuntu-xfce-nvc image (see https://hub.docker.com/r/consol/ubuntu-xfce-vnc/) which runs the Ubuntu Linux distribution with “headless” VNC session, Xfce4 UI and preinstalled Firefox and Chrome browser. Even though it looks okay and it is pretty cool that I can graphically interact with the container, it is not a very good visual experience – especially when things start to move around. 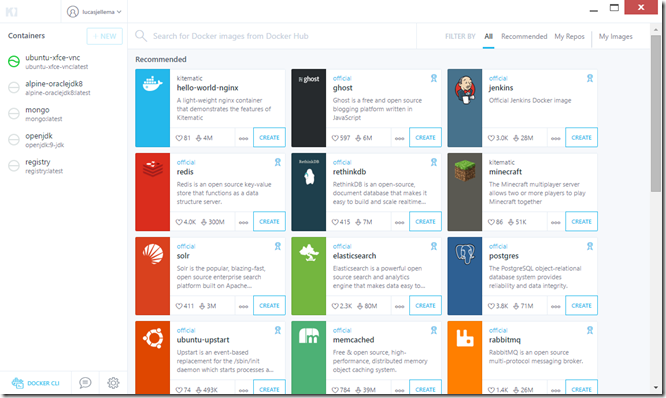 Docker for Windows is really best for headless programs that run in the background. 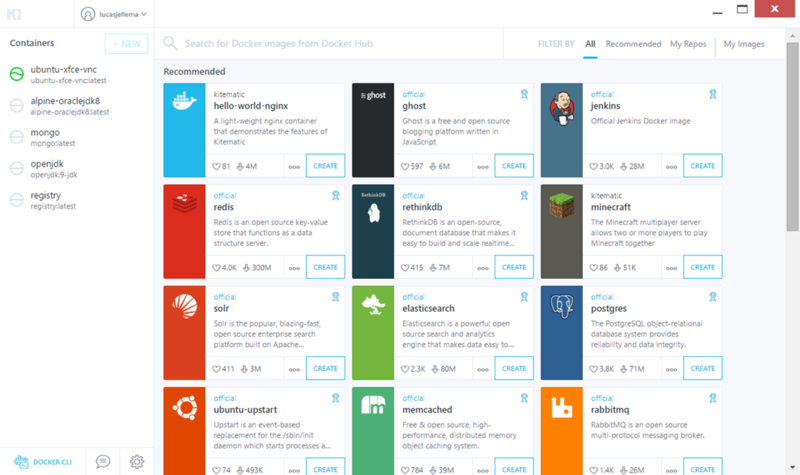 For quickly trying out Docker images and for running containers in the background – for example with a MongoDB database, an Elastic Search Index and a Node.JS or nginx web server – this seems to be a very usable way of working. My first impressions on Virtual Box compared to Hyper-V that for now at least I far prefer Virtual Box(for running Linux VMs).The support for shared folders between host and guest, the high resolution GUI for the Guest, and the fact that currently many prebuilt images are available for Virtual Box and not so many (or hardly any) for Hyper-V are for now points in favor of Virtual Box. 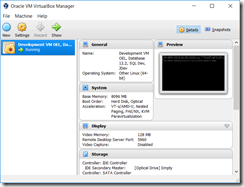 I never run VMs with Windows as Guest OS, I am sure that would impact my choice. 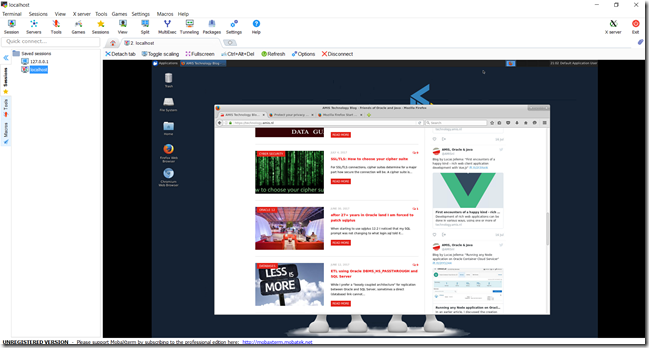 Here is a screenshot of a prebuilt VM image running on Virtual Box on Windows 10 – all out of the box. 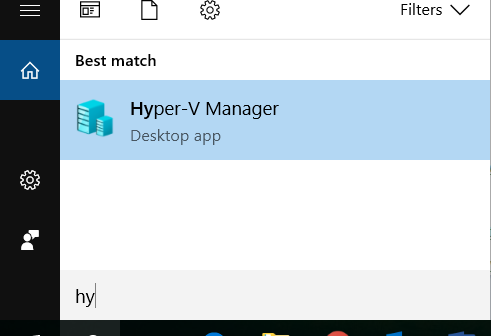 Just FYI the resolution issue is with the Hyper-V built in console app, if you instead use remote desktop to connect to your VM the resolution is perfect and you can copy and paste between the VM and the host easily. 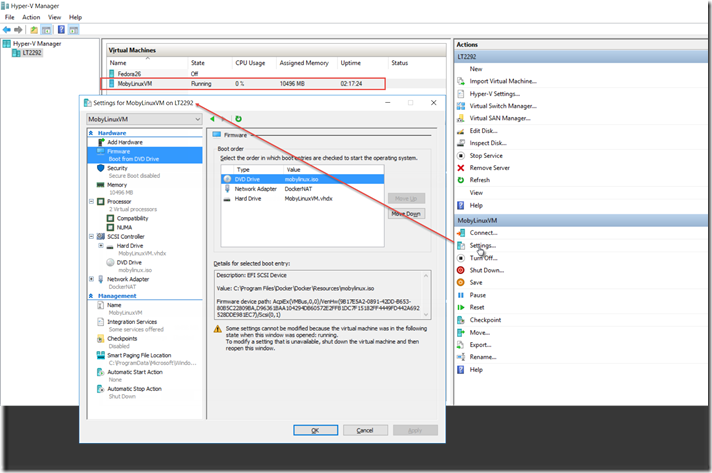 The built in console is not intended for actual GUI usage, that’s what Remote Desktop is for. Found your article when I run into a similair issue. Docker Toolbox is an option, however you can also run Virtualbox in raw mode. In that case VB is providing a native 32bit context without the need of Vt-X. 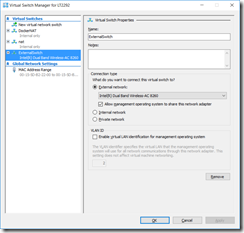 I have a case where I do need VB with a 64 bit context and a VM running in a Hyper-V context. 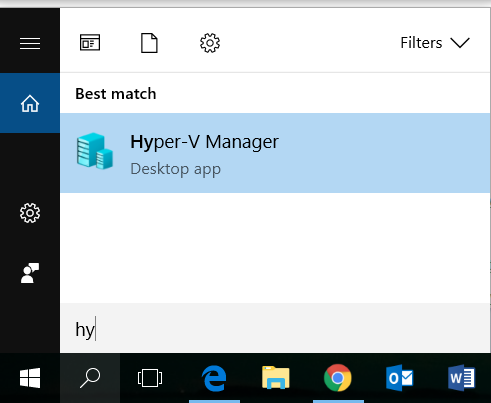 Seems no other option than converting the VB image to Hyper-V and hope for the best. Anyone that comes to this subject : i was able to run both of them just download docker toolbox and it will solve your issues. 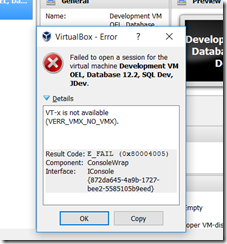 So, it is impossible to have docker and virtualbox running? Correct. 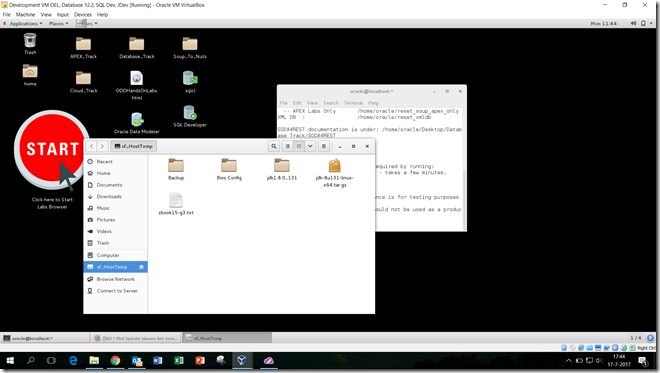 You can run Docker inside a Virtual Box VM. 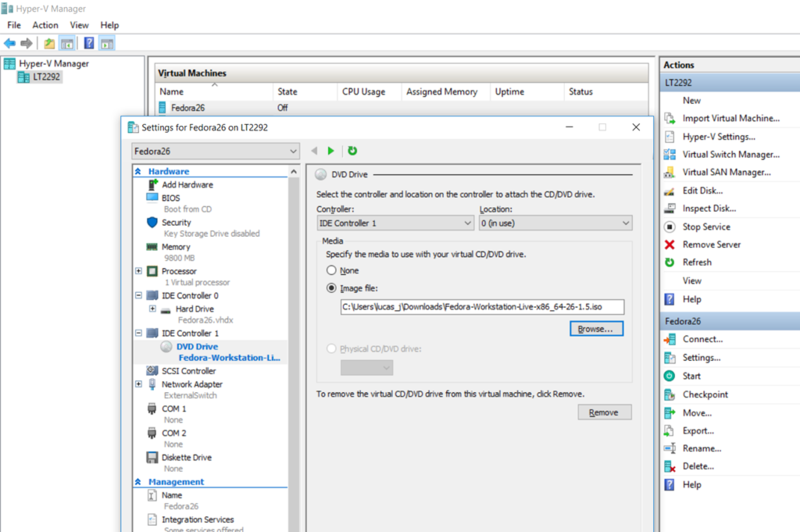 But if you run Docker on Windows it will use a hyper-v based VM and that can not coexist with Virtual Box.